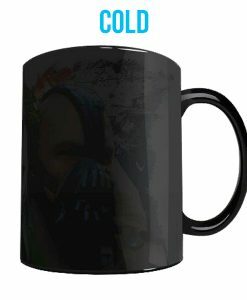 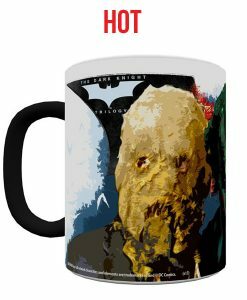 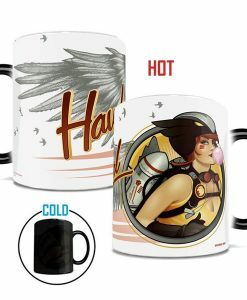 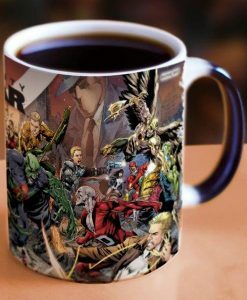 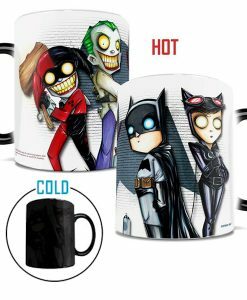 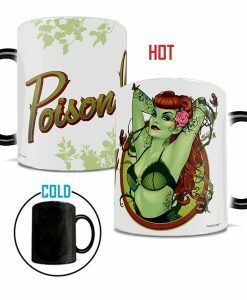 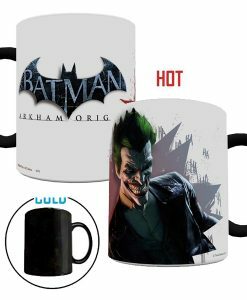 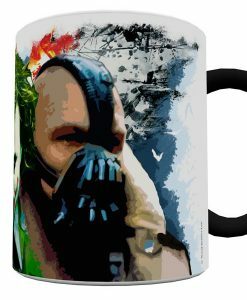 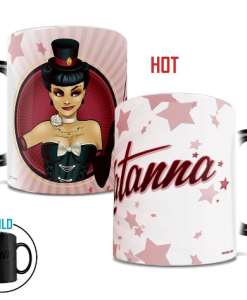 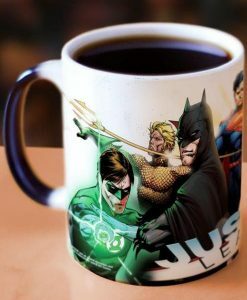 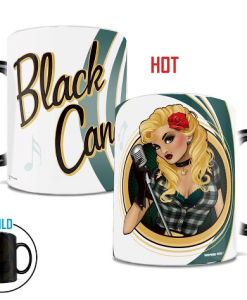 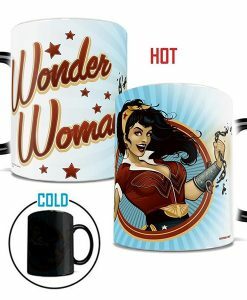 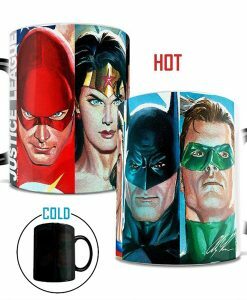 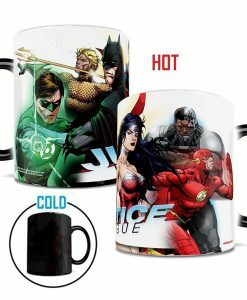 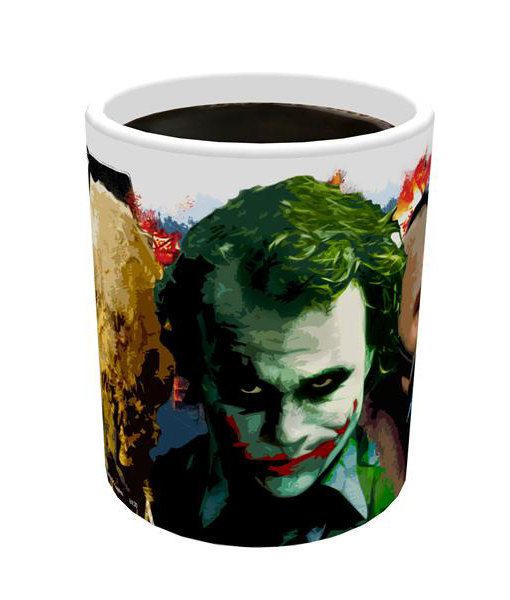 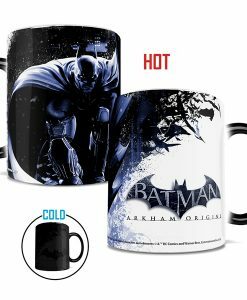 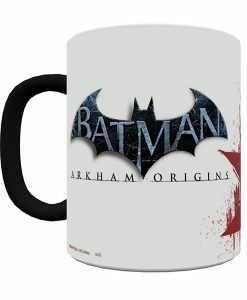 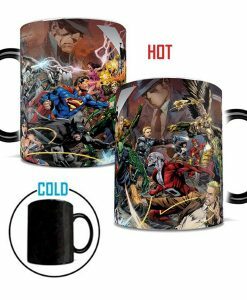 Batman: The Dark Knight™ Trilogy (Rogues Gallery) Heat-Sensitive Morphing Mug – Trio trilogy raises temperature in Gotham City. 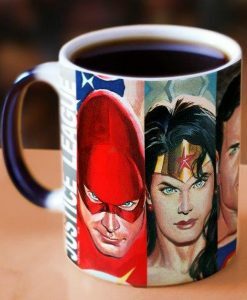 Criminals beware! 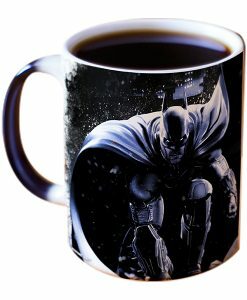 Hiding in shadows won’t help you, the caped crusader a/k/a Batman watches over the people. 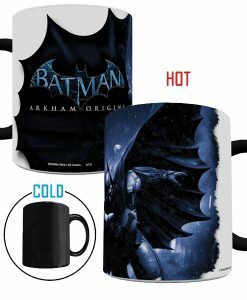 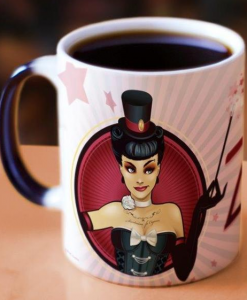 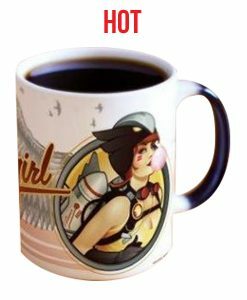 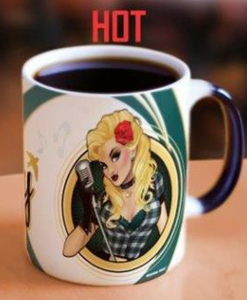 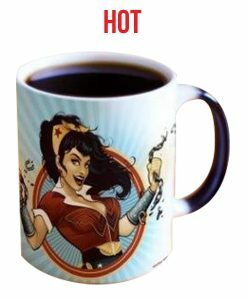 Adding hot liquid increases the temperature and reveals the whereabouts of the criminal elements of Gotham City. 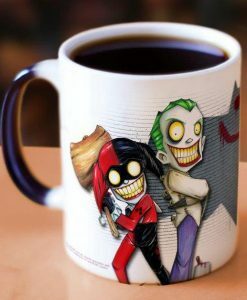 The mug Joker has his bags of tricks, but how long will he remain hidden until Batman finds him? Bane and the morphing Scarecrow have joined forces with the mug Joker to bring about devastation to Gotham. 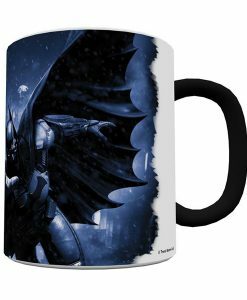 The Dark Knight Vigilante searches for this trio trilogy of villains. 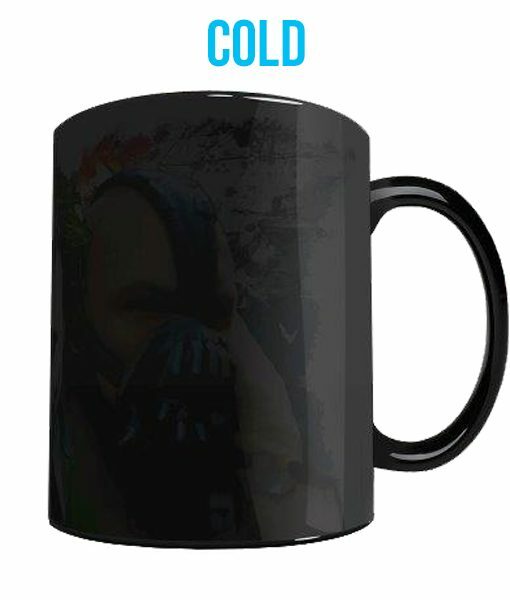 Help this superhero find these foes before it’s too late! 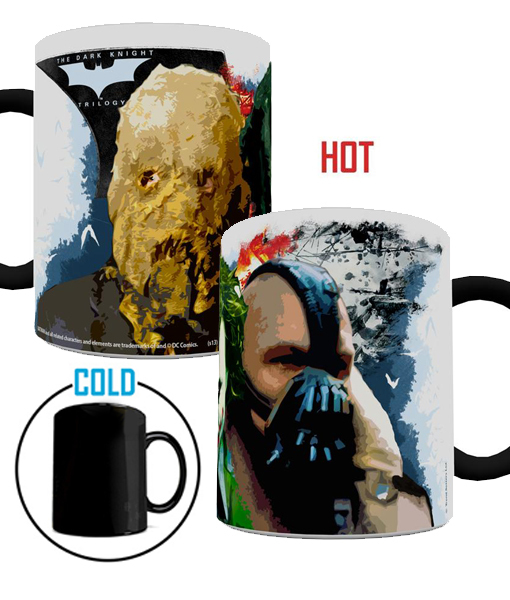 Defeat the Joker, Scarecrow, and Bane to save Gotham City.